"Lolong" got more famous after being officially declared as the World Largest Saltwater Crocodile in Guinness Book of World Records. Lolong is also the world largest crocodile ever caught alive. As of now, Lolong is now comfortable in his cage. Lolong is eating his meal three times a month with regular dose of vitamins. Local Government in Bunawan, Agusan del Sur has earned almost P3 Million from Lolong's visitors and guests. As local government promised that they will use the fund for Lolong's food supply and maintenance of his cage. Meanwhile, Guinness Book of World Records team came to Bunawan, Agusan del Sur last September 3, 2011 to measure Lolong. 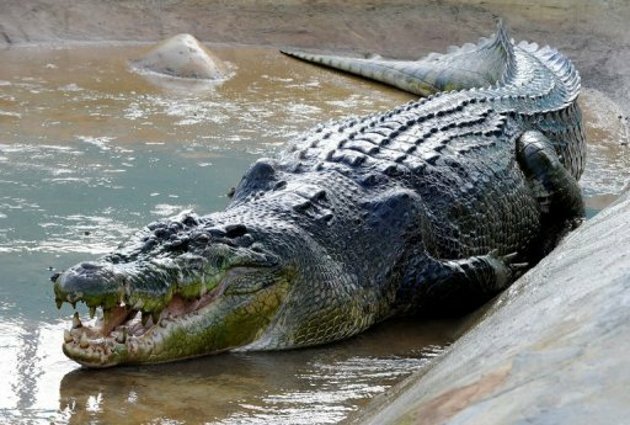 Comments or suggestions about "Lolong Declared as World Largest Crocodile" is important to us, you may share it by using the comment box below.